New Delhi: Rationalist MM Kalburgi's wife wants a Special Investigation Team to probe the murder of her husband. The Sahitya Akademi award winner writer's wife Uma Devi Kalburgi has petitioned the Supreme Court seeking a special probe. 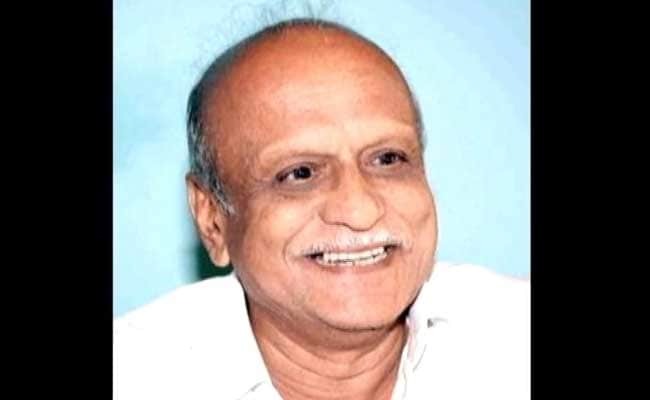 The top court has issued notices to Karnataka, Centre and the National Investigative Agency on setting up a Special Investigation Team to probe the murder of MM Kalburgi. Uma Devi, in her petition, told Supreme Court that she is not satisfied with the probe being done by the state police and wants a special team to investigate. The Karnataka police have not been able to make much headway in the murder probe, the petition said. She also wants a former Supreme Court or High Court Judge to monitor the investigations. The Supreme Court has asked the Centre, State and the NIA to reply within six weeks. Professor Kalburgi was murdered in cold blood, in front of his house in Dharwad in August 2015. Uma Devi's petition said Professor Kalburgi's murder "left every right-minded person in the society shell shocked; the murderers should not go unpunished". Her lawyer told the court that police are still clueless about similar cases, like the murder of Govind Pansare and Narendra Dabholkar, both were rationalists and vocal critics of the Hindutva agenda. The Bombay High Court in December 2017, while hearing a petition seeking court-monitored probes into the killings of Govind Pansare and Narendra Dabholkar observed that there has been a "dangerous trend" of eliminating all opposition and liberal values, which is giving the country a bad name. It's been nearly 5 months but no one has yet been arrested in the murder case of Bangalore-based journalist and activist Gauri Lankesh. Karnataka government has several times said police are close to a breakthrough but no one has yet been arrested. Investigators have suggested that there is a pattern in the killings of Dabholkar, Pansare and Gauri Lankesh and forensic reports confirm similar weapons were used and shootings were carried out by hit squads on motorcycles but despite that the murder trail in all these cases have gone cold.